Who hasn't sipped and swirled their way through a wine tasting and fantasized about buying a vineyard? 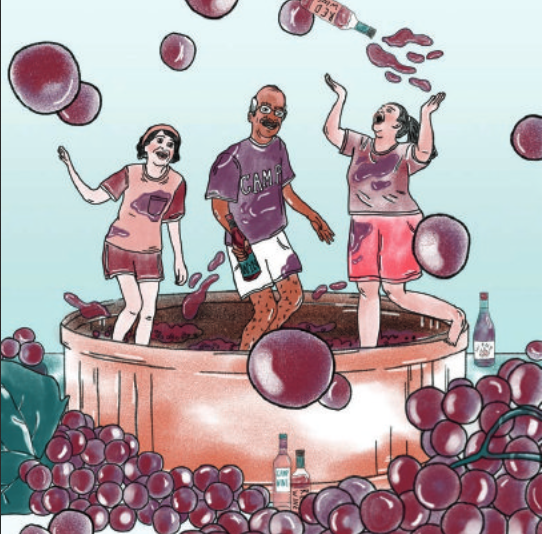 CrushCamp, offered by the new Vista Collina Resort in Napa Valley, California, is allowing visitors to become vintners for a day - no real estate purchase required. During the two-hour experience, a Wine Foundry winemaker guides participants through bringing a 2018 vintage to life, from evaluating grapes to de-stemming, crushing, and mastering the art of fermentations by tasting wine at different maturity levels.